One more cool account on sexual health. Vitamin D is known as the sunshine vitamin because the body naturally produces it when the skin is directly exposed to sunlight. According to scientists, about 75% people have inadequate levels of vitamin D and symptoms of vitamin D deficiency. Unfortunately vitamin D deficiency was linked with increased risks for serious diseases including cancer, cardiovascular disease, osteoarthritis, autoimmune disorders, multiple sclerosis, type 1 diabetes, depression and some other health conditions. Human body gets vitamin D from environment (mainly sun) and from certain foods. Foods rich of vitamin D include milk, cheese, and fatty fish like tuna, salmon and mackerel. Certain foods such as cereals, orange juice, soy products, yogurt and margarines also contain some amount of vitamin D.
Vitamin D deficiency develops when the level of vitamin D in blood is below 20 ng/mL, vitamin D insufficiency is diagnosed at vitamin D levels 21-29 ng/mL and adequate (normal) levels of vitamin D are 30-60 ng/mL. According to scientists, vitamin D plays vital role in cancer development, especially breast cancer development. Women with breast cancer tend to have low levels of vitamin D and women with higher levels of vitamin D are less likely to develop breast cancer. At the same time, it was noted that breast cancer suffering women with higher levels of vitamin D have higher chances for survival – they usually have smaller tumors and are less likely to die from breast cancer. Concerning prostate cancer, it was found a link between low blood levels of vitamin D and aggressive prostate cancer. The connection between vitamin D and prostate cancer was especially strong in African-American men. Scientists are trying to prove the connection between vitamin D deficiency and other types of cancer. Several factors are responsible for cardio-vascular diseases including vitamin D deficiency which was associated with an increased prevalence of hypertension, hyperlipidemia, peripheral vascular disease, coronary artery disease, myocardial infarction, heart failure and stroke. According to health experts, the anti-inflammatory effect of vitamin D could play the main role. Low levels of vitamin D have been linked to more severe cases of heart disease and increased mortality (death) from cardiovascular disease was noted in clients with decreased levels of vitamin D.
Some studies confirmed the association between decreased levels of vitamin D and increased risks of both upper and lower respiratory tract infections. Studies show decreased level of vitamin D in patients with tuberculosis. Scientists explain it by vitamin D anti-inflammatory and anti-infection ability. Scientists suggested also links between vitamin D level and multiple sclerosis. The mechanism of this phenomenon is not clear yet. Scientific study published in Journal Neurology (2014) found that moderate-to-severe vitamin D deficiency in older people could double the risk for some forms of dementia, including Alzheimer’s disease. Dementia is a decline in thinking, behavior, and memory that negatively affects daily life. According to this study, adults with low levels of vitamin D had 53% increased risk of developing dementia. Health experts suggest that the sunshine vitamin might help clear plaques in the brain linked to dementia. Several studies confirm that vitamin D deficient are twice as likely to be diagnosed with schizophrenia as compared to people with sufficient vitamin D levels. People with blood vitamin D levels over 25 ng/mL had a 43% reduced risk of developing type 2 diabetes compared with those with levels under 14 ng/mL. Future studies are needed. According to study published in the Journal of Sexual Medicine (2014), men with severe erectile dysfunction had significantly decreased levels of vitamin D comparing with men with mild erectile dysfunction. 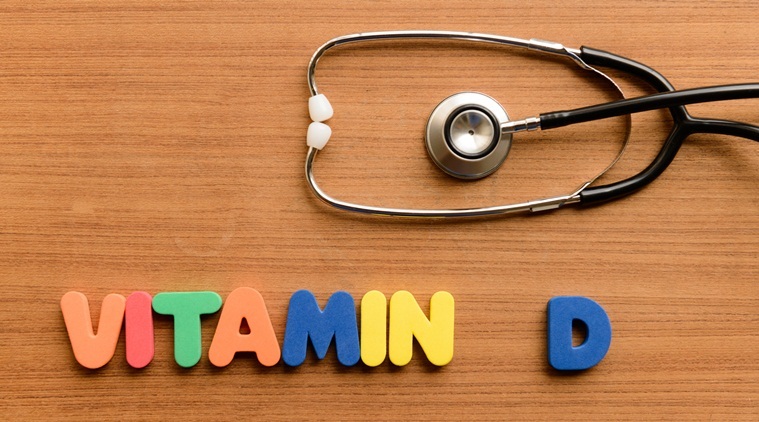 There is some scientific evidence that vitamin D deficiency could increase risks of obstructive sleep apnea brought on by inflammatory rhinitis and tonsillar hypertrophy. The post Vitamin D deficiency diseases appeared first on Women Health Info Blog. Try Sigmaceutical Libido Enhancement & Support today!